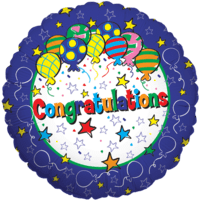 Upon learning of a case for congratulations, it's sometimes hard to know how to congratulate with sufficient zest. Champagne? Flowers? Chocolates? At Balloon in a Box we 'say it' with Balloons! 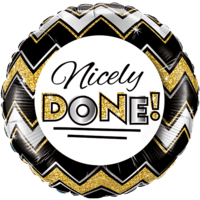 A big bunch of balloons is perfect for saying 'jolly well done old chap!' and will label you as very cool instantly. 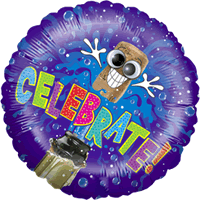 We have a whole myriad of great balloon choices for you to choose from. 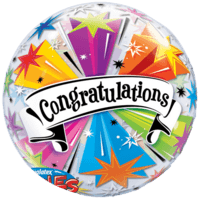 Our 'congrats' square balloon and our congratulations 'bubble balloon' are particular favourites and can be chosen as bouquets too! We take special care when preparing your balloon gift and can get it too your congratulatee by tomorrow! Happiness guaranteed! This Superb Nicely Done! Chevron design Balloon Gift will intrigue and thrill a lucky family member or friend! Expertly put together and blown up by our in house qualified balloon decorators! 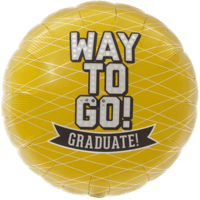 This Superb Way To Go Graduate Yellow Balloon Gift will intrigue and thrill a lucky family member or friend! Expertly put together and blown up by our in house qualified balloon decorators! 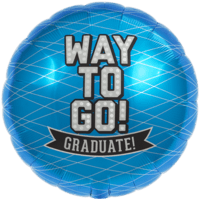 This Superb Way To Go Graduate Balloon Gift will intrigue and thrill a lucky family member or friend! Expertly put together and blown up by our in house qualified balloon decorators! 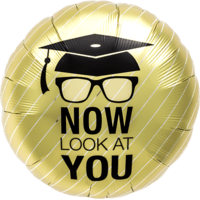 This Superb Look At You Now Graduate Balloon Gift will intrigue and thrill a lucky family member or friend! Expertly put together and blown up by our in house qualified balloon decorators! 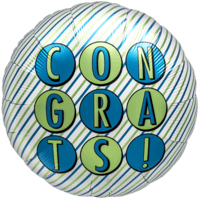 This Superb Congratulations Blue and Green Stripes Balloon Gift will intrigue and thrill a lucky family member or friend! Expertly put together and blown up by our in house qualified balloon decorators! 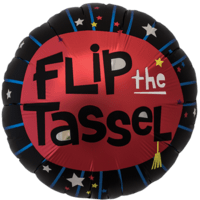 This Superb Flip The Tassel Graduate Balloon Gift will intrigue and thrill a lucky family member or friend! Expertly put together and blown up by our in house qualified balloon decorators! 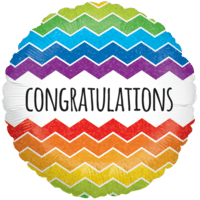 This Superb Congratulations Colourful Chevrons Balloon Gift will intrigue and thrill a lucky family member or friend! Expertly put together and blown up by our in house qualified balloon decorators! 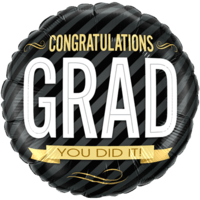 This Superb Congratulations Grad Colourful Balloon Gift will intrigue and thrill a lucky family member or friend! Expertly put together and blown up by our in house qualified balloon decorators! 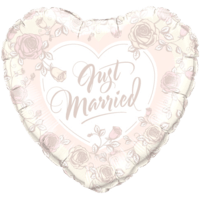 This Superb Just Married Floral Print Balloon Gift will intrigue and thrill a lucky family member or friend! Expertly put together and blown up by our in house qualified balloon decorators! 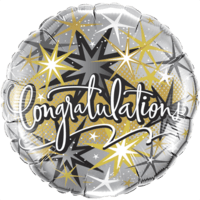 This Superb Stars & Sparkles Congratulations Balloon Gift will intrigue and thrill a lucky family member or friend! Expertly put together and blown up by our in house qualified balloon decorators! 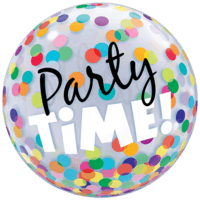 This Superb Party Time Congrats Confetti Balloon Gift will intrigue and thrill a lucky family member or friend! Expertly put together and blown up by our in house qualified balloon decorators! 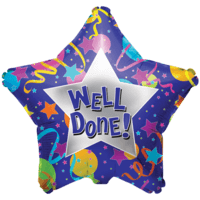 This Superb Well Done Star Balloon Gift will intrigue and thrill a lucky family member or friend! Expertly put together and blown up by our in house qualified balloon decorators! 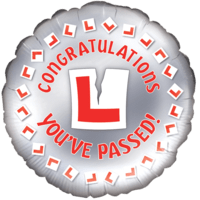 This Superb L Plate Passed! Balloon Gift will intrigue and thrill a lucky family member or friend! Expertly put together and blown up by our in house qualified balloon decorators! 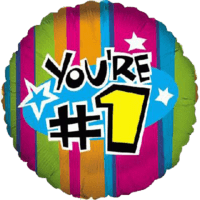 Do yourself a favour and send this vibrant 18" balloon gift to you're Number One! Spot-on for a variety of occasions to remind someone special that they still rank first! 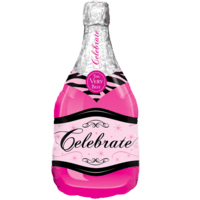 This Superb Celebration Congrats Balloon Gift will intrigue and thrill a lucky family member or friend! Expertly put together and blown up by our in house qualified balloon decorators! 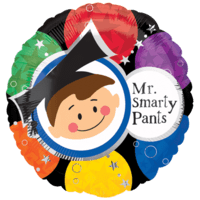 This Superb Mr Smarty Pants Balloon Gift will intrigue and thrill a lucky family member or friend! Expertly put together and blown up by our in house qualified balloon decorators! This Superb Party Time! Colourful Dots Balloon Gift will intrigue and thrill a lucky family member or friend! Expertly put together and blown up by our in house qualified balloon decorators! 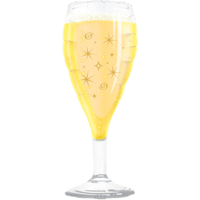 This Superb Wine Glass Sparkle Balloon Gift will intrigue and thrill a lucky family member or friend! Expertly put together and blown up by our in house qualified balloon decorators! 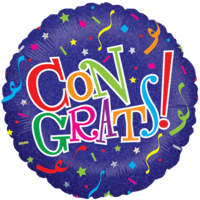 This Superb 22" Congrats Banner Bubble Balloon Gift will intrigue and thrill a lucky family member or friend! Expertly put together and blown up by our in house qualified balloon decorators! 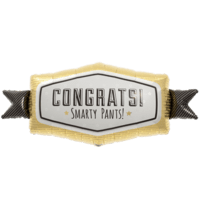 This Superb Congratulations Smarty Pants Balloon Gift will intrigue and thrill a lucky family member or friend! Expertly put together and blown up by our in house qualified balloon decorators! 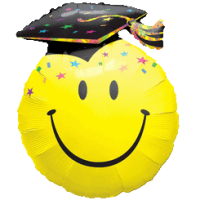 This Superb Hip Hip Hooray Graduate Balloon Gift will intrigue and thrill a lucky family member or friend! Expertly put together and blown up by our in house qualified balloon decorators! 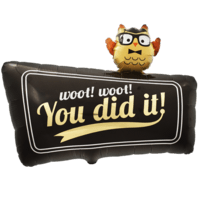 This Superb Woot Woot Graduate Balloon Gift will intrigue and thrill a lucky family member or friend! Expertly put together and blown up by our in house qualified balloon decorators! 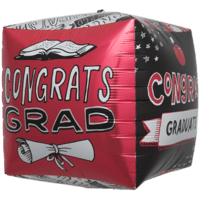 This Superb Congrats Graduate Doodles Cube Balloon Gift will intrigue and thrill a lucky family member or friend! Expertly put together and blown up by our in house qualified balloon decorators! 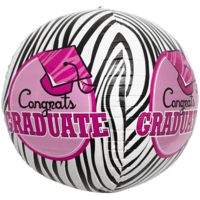 This Superb 17" Graduate Pink Zebra Sphere Balloon Gift will intrigue and thrill a lucky family member or friend! Expertly put together and blown up by our in house qualified balloon decorators! 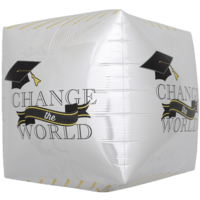 This Superb 17" Change The World Graduate Cube Balloon Gift will intrigue and thrill a lucky family member or friend! Expertly put together and blown up by our in house qualified balloon decorators! 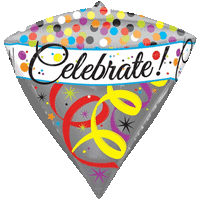 This Superb Celebrate Colourful Spots and Streamers Balloon Gift will intrigue and thrill a lucky family member or friend! Expertly put together and blown up by our in house qualified balloon decorators! 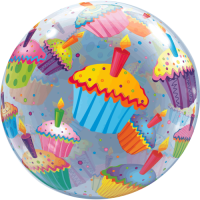 This Superb Cup Cake Party Balloon Gift will intrigue and thrill a lucky family member or friend! Expertly put together and blown up by our in house qualified balloon decorators! 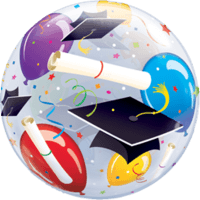 This Superb Graduate Congrats Bubble Balloon Gift will intrigue and thrill a lucky family member or friend! Expertly put together and blown up by our in house qualified balloon decorators! This Superb Wiggle Wobble - Celebrate! Balloon Gift will intrigue and thrill a lucky family member or friend! Expertly put together and blown up by our in house qualified balloon decorators! 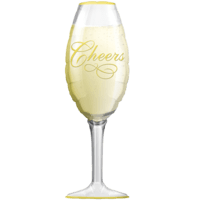 This Superb Cheers Champagne Balloon Gift will intrigue and thrill a lucky family member or friend! Expertly put together and blown up by our in house qualified balloon decorators! Cheers! Your glass will always be totally full! 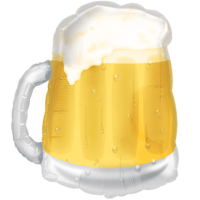 A huge bubbling Beer Mug shaped foil balloon 20" x 23" Great for a variety of occasions and will send you off for a thirst quenching swift half! 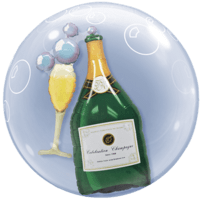 This Superb Champangne Bubbles Double Bubble Balloon Gift will intrigue and thrill a lucky family member or friend! Expertly put together and blown up by our in house qualified balloon decorators! 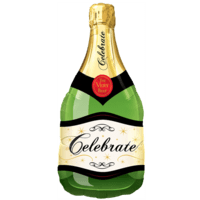 This Superb Giant Bubbly Wine Foil Balloon Balloon Gift will intrigue and thrill a lucky family member or friend! Expertly put together and blown up by our in house qualified balloon decorators! 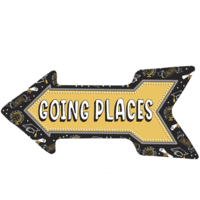 This Superb You're Going Places Arrow Balloon Gift will intrigue and thrill a lucky family member or friend! Expertly put together and blown up by our in house qualified balloon decorators! 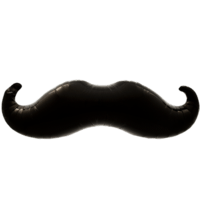 This Superb Dapper Mustache Balloon Gift will intrigue and thrill a lucky family member or friend! Expertly put together and blown up by our in house qualified balloon decorators! 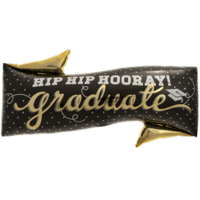 This Superb Graduation Diploma Foil Balloon Balloon Gift will intrigue and thrill a lucky family member or friend! Expertly put together and blown up by our in house qualified balloon decorators! 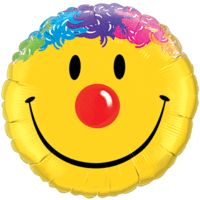 This Superb Super Duper Happy Smile Balloon Gift will intrigue and thrill a lucky family member or friend! Expertly put together and blown up by our in house qualified balloon decorators! 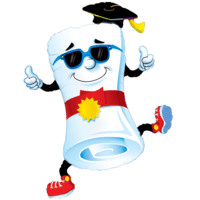 This Superb Happy Grad Congrats Balloon Gift will intrigue and thrill a lucky family member or friend! Expertly put together and blown up by our in house qualified balloon decorators!